In spite of an aggressive public campaign, serious criminal penalties, and corresponding reductions in intoxicated drivers, they are still responsible for a large number of accidents. A split second of impaired driving can cause catastrophic injuries or even death to innocent drivers or bystanders. A drunk driver can be held responsible for the harm that he or she caused. If you were injured or a loved one was killed due to someone else’s decision to get behind the wheel while intoxicated, the Chicago drunk driving accident lawyers at Moll Law Group are available to help you secure damages. Billions of dollars have been recovered in cases in which we have been involved. Our car accident attorneys have the knowledge and dedication to help you fight for your rights. 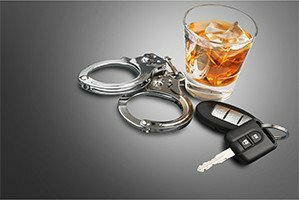 Criminal and civil liability for drunk driving are separate. A higher standard of proof applies to criminal cases. Therefore, a driver can be acquitted of drunk driving in criminal court but still be held accountable for a victim’s injuries in civil court. A drunk driver who is found liable may be required to pay not only compensatory damages but also punitive damages. Most insurers do not provide coverage for punitive damages, which means that the drunk driver would have to pay a punitive damages award out of his or her own pocket. In order to hold a drunk driver liable, a plaintiff will need to establish negligence by a preponderance of the evidence. This means proving the driver's duty, a breach of duty, actual and proximate causation, and actual damages. In Illinois, dram shop liability laws allow an accident victim to sue an alcohol retailer that sold alcohol to a drunk driver if the victim can prove that the retailer sold alcohol to a patron, the patron caused injuries to someone else, the retailer was the proximate (legal) cause of the patron's drunkenness, and the drunkenness was a major cause of the victim’s injuries. Proximate cause exists when a retailer can reasonably foresee that selling alcohol to somebody can cause harm to another person. In most cases, it is foreseeable to a retailer that an intoxicated patron could hurt somebody. A drunk driving accident attorney can help Chicago victims determine if dram shop liability may apply in their case. However, unlike some states with dram shop liability, Illinois does not require that the retailer continue to provide alcohol after an intoxicated person becomes visibly drunk. Although Illinois does not impose liability on a social host who serves alcohol to a drunken guest, as some states do, it also has a statute known as the "Drug or Alcohol Impaired Minor Responsibility Act." Under this law, adults over the age of 18 who willfully supply alcohol to minors may be held liable for injuries or deaths arising from their intoxication. If you have been struck by an intoxicated driver, the Chicago drunk driving accident attorneys at Moll Law Group are available to pursue a claim or sue the responsible parties on your behalf. We also represent victims and their families in Naperville, Schaumburg, Wheaton, and communities throughout Cook County. Contact us via our online form or call us at 312-462-1700 to set up a free consultation with a motor vehicle collision lawyer.